Several months ago, at the prompting of a friend, I started attending a local boot camp type of daily exercise class. Its actual name: Burn Boot Camp. The first day I attended I thought I was going to throw up. I sort of propelled myself through the stations and there were a few times I remember thinking I would surely fall as I could not keep up with what my body was doing. And…I keep going back. 6 days a week. 45 minutes of intense interval training targeting every muscle group. Endurance combined with strength training. 5:30 AM. Bam. Done. On with my day. At burn boot camp we also attend focus meetings every few weeks where a trainer measures your body fat, weight, checks in on your food intake, and assesses your current goals. I am proud and happy to report that I have not felt this strong and healthy in probably 15 years. Having baby after baby (while also crunching out things like a PhD and running a private practice) takes a toll on your body. As I approach my 40’s it feels amazing to be focusing on my health. In an attempt to be balanced I am also trying my best to play tennis and do yoga once a week. So, yes, all of this is good. AND I am watching myself. There have been times when I have let my health pursuits become obsessive. When the world out THERE feels crazy and out of control it can feel so good and dangerously empowering to control things like calories and exercise regimens. 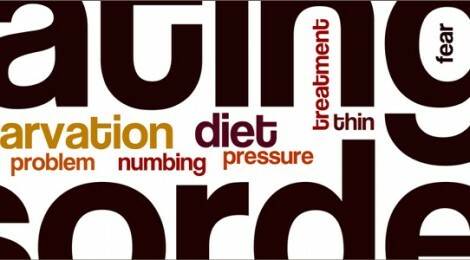 I have worked with clients who are struggling with disordered eating. For those who eat too much it might be that they are trying to fill a depth in their life that feels black-hole-empty. For those who binge and purge they might be trying to fill emptiness…while simultaneously trying to “throw up” or “purge” things from their life that feel unbelievably painful. For those who mostly restrict (associated with the diagnosis of anorexia), there are sometimes a million rules about their food and eating that make them feel safe and secure and in control when so much of their life and relationships do not. However it begins, it ends up becoming a dangerous habit of self-harm: a deadly and addictive form of self-soothing. We live in a country both obsessed with food and with chiseling our bodies. We don’t know what to do with our hunger. So we come up with rules and rituals and obsessive methods for managing our humanity. I wonder if our obsessing with our exterior is any indicator of our interior shame over our souls. In the religious world we tend to come up with similar rules and rituals and obsessing methods for managing our humanity. For managing our hunger. For managing our imperfections. When I had my first child I was in the middle of my graduate program in Marriage and Family Therapy. We were studying family systems and developmental patterns and things that can go right, but mostly things that can go wrong. Like most students in this type of program I was led to examine my own dark places because a good therapist is a self-aware therapist. Staring into your own dark side while creating another life inside of you is precarious terrain. I was terrified I was going to ruin this precious cargo I was carrying. I could not tolerate this question. I could not imagine that God would use my weaknesses, faults, and dark places for the good of another. They must be eradicated! Annihilated! I was pretty sure there were formulas…rules and rituals and obsessive methods for purging these faults that seemed so irrevocably tied to my very being. AND, it’s hard to dissect off pieces of your self, you know? But, I think that the hopelessness of the cause does not stop our efforts. If anything, our seeming lack of control leads us to try to exercise more of it. We are left with anorexic souls. Souls dangerously thin from our attempts to manage our hunger…from managing our imperfections. Our desperate efforts at covering, chiseling, starving our souls become dangerous habits of self-harm: a deadly and addictive form of spiritual and emotional self-soothing. I am all for spiritual practice. Solitude, prayer, meditation, reading of the holy scriptures. Endurance combined with strength training. YES. But our obsessive CONTROL. The rules and rituals and obsessive methods for purging our very beings. That is what has me afraid. That is what causes me concern. Because it sure feels good…I KNOW…to control what is IN HERE…when OUT THERE feels so OUT of control. However it begins, it soon becomes habit. And, we cling to the habit over and against our Savior. Our obsessive restriction…counting spiritual calories and monitoring our spiritual exercise regimens…leads us straight away form the soul loving and caring we actually need to participate in. When a person with disordered eating comes to see me for therapy I rarely ask them about their eating disorder. I find out what I need to find out in the assessment. If there is a safety reason I need to check in on weight I will, but usually I am working in conjunction with a physician who takes care of that piece. The client might be surprised, but I kind of set the eating and restricting and purging and exercising to the side. All of that is a smoke screen. I want to know what they are REALLY trying to throw up. What they are REALLY trying to fill. What they are REALLY trying to starve. It is those parts that I want to get to know…and help them explore and give grace and care and love and compassion to. THOSE parts. THOSE spaces. So, I guess I wish we could all take a deep breath…and step away from the restrictions and regimens and obsessive methods and relax in God’s love. And trust that maybe He is using ALL of us even as He keeps healing us. And that maybe even though we are surely participants IN the process we have far less control OVER the process. Less covering, less chiseling, less starving. Less discomfort with our hunger, with our humanity, with our very beings. More love, more awe. More ok with not always being ok.
More openness to the idea that God just might choose to use your WEAKNESSES in the lives of others as much as your strengths.